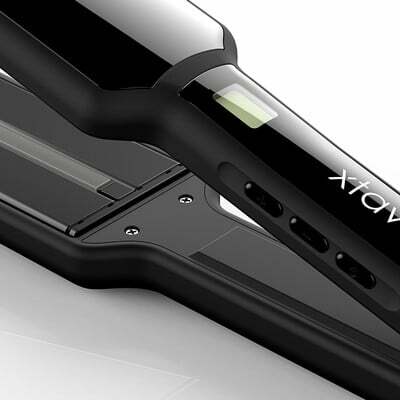 Undoubtedly, Hair Straightener is a popular hair styling tool used by women these days. 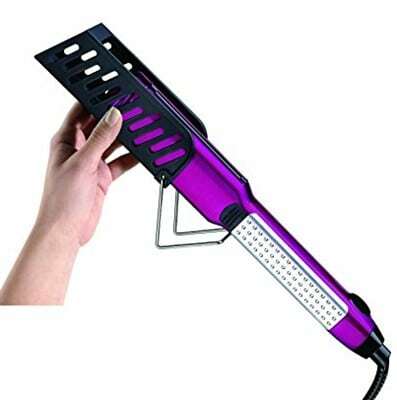 Using heat technique, this hair styling tool is used for straightening unmanageable curly hair. Earlier women weren’t familiar with a hair straightener. It is because the techniques used for permanent hair straightening had not been popularized. Nowadays, things have changed. Due to numerous beauty trends, women are trying to style their hair to ensure they are in tune with fashion. But maintaining your natural hair is becoming expensive and difficult. 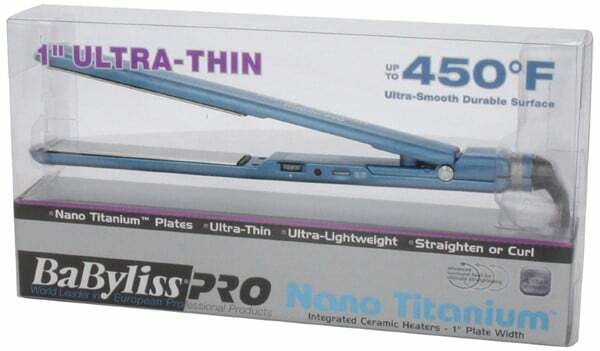 Today, many reliable and professional Hair straightener (flat irons) are available offering adjustable options. There are styles to treat short hair, long hair, fine hair and thick hair. Most popular styles of hair straightener are lightweight yet sturdy, scratch-resistant and easy to clean, and offer an ergonomic design. They are usually made to prevent hair pulling, tangling, and breakage. Plate Materials used in Straightener? You might think that girl at the salon works some magic on your hair, but most of the work is done by the technology in her hands. The plate material produces negative ions that in turn straightens your hair. Quality materials are highly efficient at producing these ions, and they do so over a prolonged period. The plates are made either of ceramic, titanium, tourmaline or a combination of these. However, avoid going for ‘Ceramic-coated’ hair straighteners, as this coating wears off quickly. Moreover, ‘Ceramic-coated’ plates chips and damages your hair since the ceramic coating becomes thin; exposing your hair to 100% aluminum. Compared to ‘Ceramic-coated’, Solid Ceramic hair straighteners are gentler on your hairs. Very straightforward –go for ceramic straightener if you have thick, healthy, coarse hairs. It maintains high temperature and has a very good distribution of heat causing minimal damage to your hair. The solid ceramic plates are expensive compared to ceramic-coated plates. Since solid ceramic hair straighteners are gentler on your hair and last longer, they justify the high price you pay compared to ceramic-coated flat irons. Solid ceramic plates are good for thick and undamaged hair, while titanium is a bad idea for weak and fine hair. Using a flat iron (hair straightener) with titanium plates is a good idea if you have a thick, healthy hair that’s otherwise difficult to straighten. Titanium has higher ionic output and hence is aggressive on hairs. If you have fine or damaged hair, titanium is not a good idea. In case you already have titanium﻿﻿﻿﻿﻿﻿﻿﻿ plate straightener that you just refuse to give up and want to continue using it on your fine hair, always use it at the lowest heat settings. What is Tourmaline and how does it fit the Story? Tourmaline is a semi-precious stone that is crushed and added to titanium or ceramic to reduce friction. That’s why plates infused with tourmaline are ideal for coarse hair. Tourmaline seals moisture into your hair and counteracts frizz whereas the reduced friction will give you sleek locks. Plate Size: Flat irons that are 1 inch and below are good for fine silky hair, whereas wider plates (1.5-inches or more) are ideal for long and strong hair. 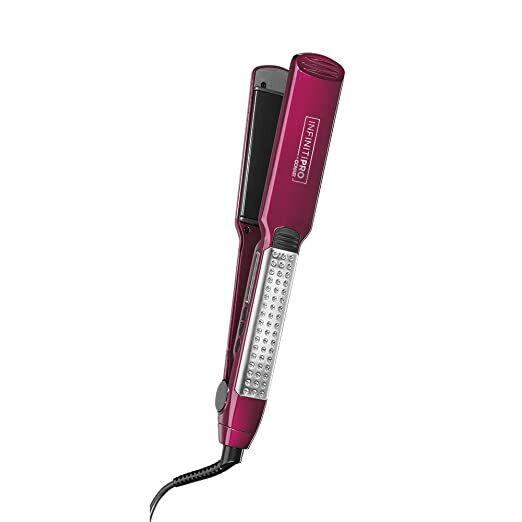 Temperature Control: Go with a hair iron that has adjustable temperature levels. This is an important factor to keep in mind if your hair is weak or damaged. Uncontrolled temperature can cause split ends. So, these are the two crucial criteria simplified Flat iron’s surface releases different ratios of active vs. passive ions. Hence you get variable results with different products that seem to be created equal. Different kind of ceramic and titanium plates release a different number of active ions, which penetrates your hair strand and fight static. Higher the active ions, the more moisture, are transported back into your hair to make it shiny and silky. 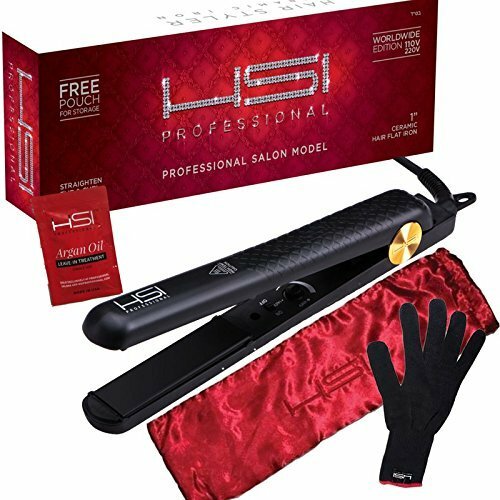 Let me share the hair industry’s secret – the best hair straightener/hair iron will release the most active ions. Now, you have an overview of the science behind Hair Straighteners, shall we get started with our list of Best Hair Straightener for Thin Hair? 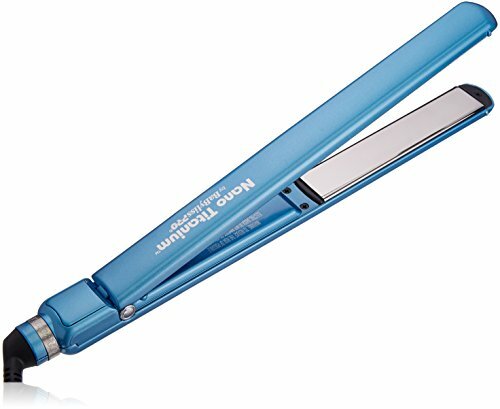 The Conair Infiniti Pro Tourmaline Ceramic Flat Iron comes in three different sizes: 1-inch, 1.5-inches, and 2-inches. The 1-inch model is royal blue, while the 1.5-inch unit is pink, and the 2-inch model is black. The range of sizes makes it easy for every person to find a size for specific hair. There’s range of temperate settings to choose from (up to 446 Fahrenheit) that be controlled using + and - buttons along with a LED temperature readout. The heater inside the unit is made from ceramic. Hence it conducts heat to the Tourmaline and Ceramic plates evenly, preventing hot spots and ineffective. With ultra-high heat levels 446°F/230°C, it heats up within 20 seconds which is insanely fast. If your hair is sensitive to temperature, this may not be the right option for you. While it does have a huge range of temperature, hairs might get stuck at a higher temperature. "Tourmaline Ceramic coated plates prevent damaging hot spots, which naturally emit ions that eliminate static and reduce frizz." Whether use it on wet or dry hair, it results in a professional look. With fast heat up it has temperature settings and Soy Hydra Complex-infused plates protect different hair types, leaving your locks soft and smooth. The Remington S7330 removes any excess water left over after towel drying, getting you out the door faster and preventing damage caused by blow dryers. The styling indicator light shows when the straightener is ready to use. A green light shows the straightener is at the right temperature for wet hair, while an amber light indicates it's set correctly for dry hair. The thick, 2-inch ceramic plates heat up to 425 degrees Fahrenheit and glide through your hair, leaving behind straighter, smoother locks in just one pass. The Ceramic plates turn excess water into mist while straightening and release steam through holes. To preventing damage caused by blow drying, the Remington S7330 protects hair with plates infused with Soy Hydra Complex which is a special conditioner that leaves hair looking healthy and shiny. This conditioner lasts the life of the iron, and won’t leave an oily residue behind. Whether your hair is wet or dry, the Remington Wide Wet-2 creates sleek, straight styles. Soy infused ceramic plates with unique steam vents. 30-second instant heat with 60-minute auto shut off. "The Remington S7330 saves your time by drying and styling in one step." What does the infrared technology offer compare to regular hair straightener? The infrared heat penetrates the hair cuticles to seal in natural moisture and provide a gorgeous shine. The straightener is designed to prevent heat damage since the temperature regulator inside it ensures that the temperature you choose remains constant and evenly dispersed, which stops the potential of burning your hair. Let’s start with its packaging, which is very sleek and fancy. Once you pull off the cardboard sleeve, the straightener comes in a heavy duty, thick black box, which comes in handy for storing stuff later. It has amazing tape sealer that leaves an imprint once the tape is peeled off, which is awesome. You would be surprised as the inside comes with carrying case, which makes it great during traveling. With the 2-inch Wide Ceramic Floating Plates and Dual-Plate Technology, you are assured of an even heat distribution on your hair. When you choose from 10 temperature settings you can style your hair no matter the length or type and you won’t burn those precious strands. With the advanced microprocessor, the temperature can range from between 265 and 445 degrees Fahrenheit in 10-degree increments. Xtava takes only 90 seconds to heat up; hence there is no wasting of time. It shuts off automatically when not in use, avoiding a total burnout. The beauty of infrared means you won’t be damaging your hair like another regular heat straightener. The infrared rays penetrate each strand and heat your hair from the inside out, leaving silky, naturally moisturized and straight hair. Nano Ceramic and Tourmaline Technology. 60 Second rapid heat up. 8’10” 360 degrees swivel cord. Thermal resistant carrying case with water dropper. "With this, you get a user manual and a very chic card giving exclusives from the Xtava website, including deals and private sales." Ions are atoms which have either a negative or positive electrical charge, similar to magnets that attract opposite charges. Damaged hair has a positive charge which keeps its follicles dried out, open and brittle; this condition is due to chemicals such as hair color and heated metal styling tools with static electricity that are applied to the hair. Negative ions close hair follicles as well as smoothens the shaft of the hair by neutralizing its charge. Negative ions are produced by flat irons, made of Ceramic and several materials such as Titanium and Tourmaline help boost the strength of their output power. With this 3-in-1 product, you can straighten, curl or flip your hair. Temperature adjustment option makes it suitable for all hair types. It goes from 240 to 410 degree Fahrenheit. Doing your hair will take less time, and leave it with optimal silky-shiny finish due to ceramic ion plates infused with tourmaline. 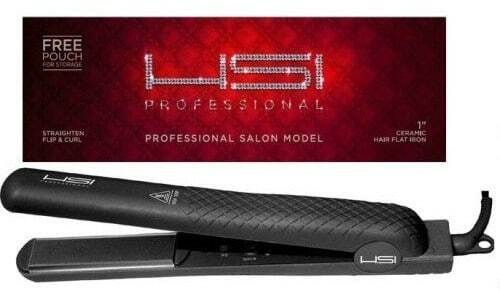 "Professional flat iron plates like those of HSI flat iron hair straightener are made of pure ceramic. It transforms your dull, frizzy hair into sleek, straight, and gorgeous locks." There are many hair tools that promise wonders for your hair, but the Babyliss Pro Nano Titanium Flat Iron abide by their promise. This tool is specially designed for working and busy women. Slim and extra long plates conduct heat superbly and maintain stability in very high temperatures, letting you do your hair 40% faster. You can cut your straightening time from 70 minutes to 20-25 minutes. You don’t need to go down the same section of hair a few times. It will be pin straight, and it will stay that way for hours, even overnight. You can expose your hair to 90% humidity weather, and it will remain perfect. Plus, it looks ten times shinier. 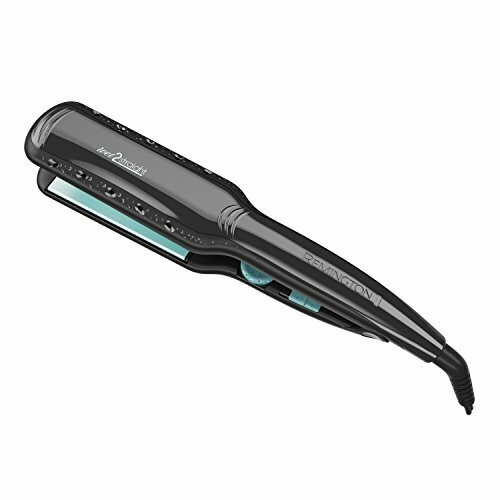 The power of this straightening Iron lies in the advanced technology and materials used for its construction. 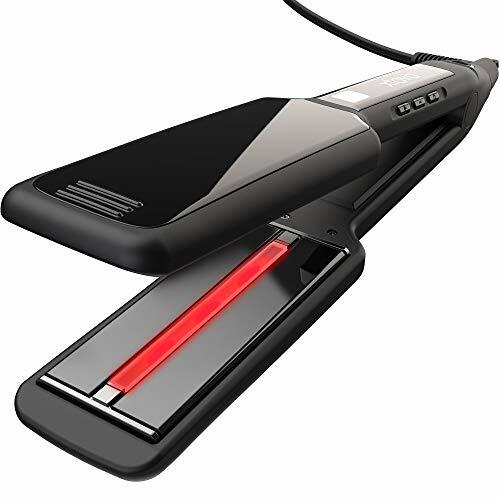 The Ceramic heater generates heat up to 450°F, and fast heat recovery without hot spots that can damage hair. Titanium, on the other hand, is lightweight, strong, durable, and scratch resistant. Ultra-smooth plates straighten hair smoothly and evenly. When you combine Titanium and Ceramic, something fantastic happens: an increased emission of far infrared rays and negative ions. The iron has germicidal effects; it kills all bacteria and fungi that can inhibit the healthy functions of your hair. It has several preset temperatures (with LED controls), ranging from 300 to 450F. This means it will work for most hair types, even for very coarse and thick hair. The iron cannot overheat and burn your hand thanks to the Ryton housing. As already mentioned, Babyliss Pro Nano is very lightweight; just 6 pounds. Its slim design makes it easy to hold in hand. 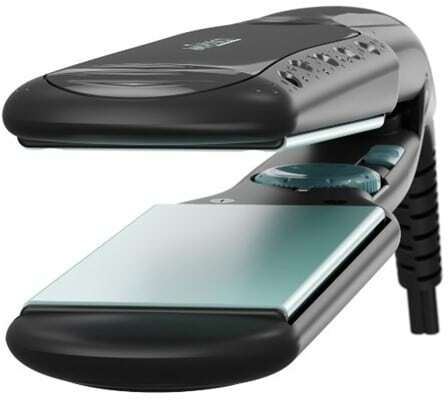 All these features unquestionably prove that this is one of the top flat irons in the market. "If you care about the state of your hair and spend lot of time styling it with a straightener, then the Babyliss Pro Nano Titanium is a great idea." The shortlisted products are an excellent price for the quality. I hope my review helps you choose the one that perfectly suits your needs and matching with your hair’s texture. If you did liked the article please do consider sharing it on social networking sites like Facebook, Twitter, Google+ and so on. Have any queries related to the products mentioned here? Feel free to use the comment box and leave your questions below​, I'll be glad to help. Thank You! Have a great day ahead!